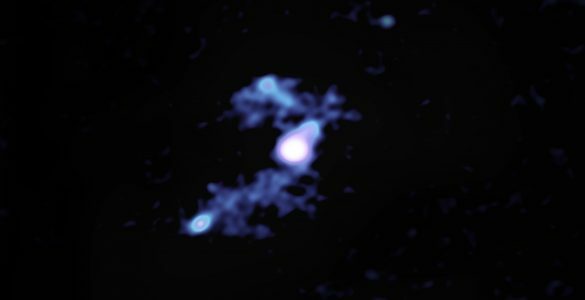 The new SDP.81 images were taken in October 2014 as part of ALMAs Long Baseline Campaign, an essential program to test and verify the telescopes highest resolving power, achieved when the antennas are at their greatest separation: up to 15 kilometers apart. 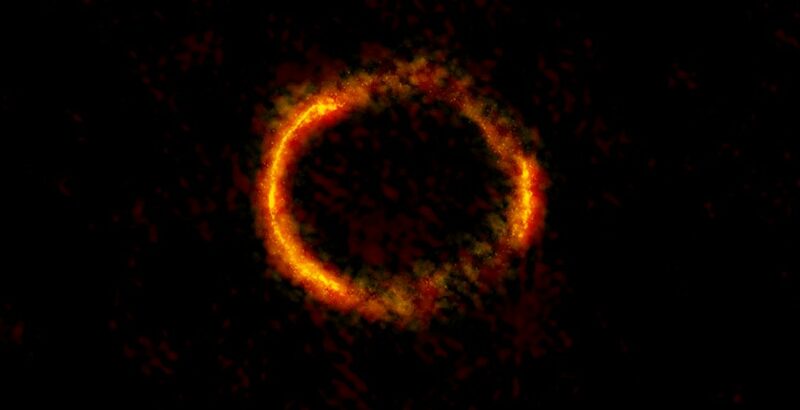 ALMA image of the gravitationally lensed galaxy SDP.81. 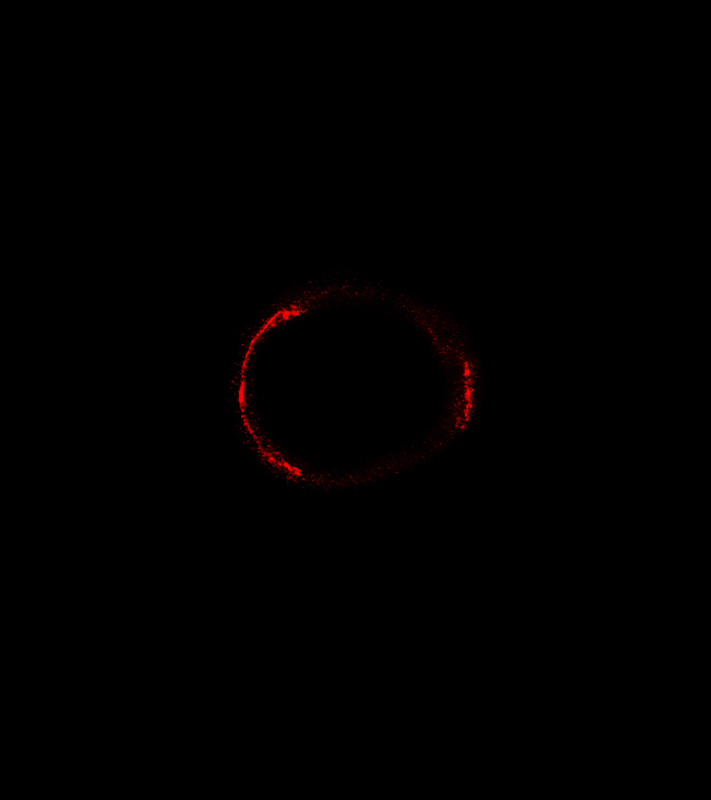 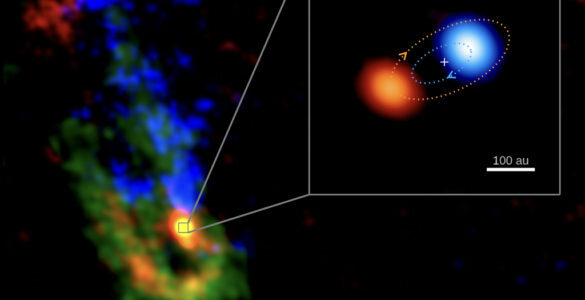 The bright orange central region of the ring (ALMA's highest resolution observation ever) reveals the glowing dust in this distant galaxy. 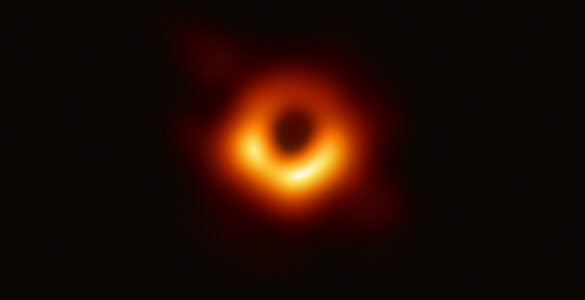 The surrounding lower-resolution portions of the ring trace the millimeter wavelength light emitted by carbon monoxide. 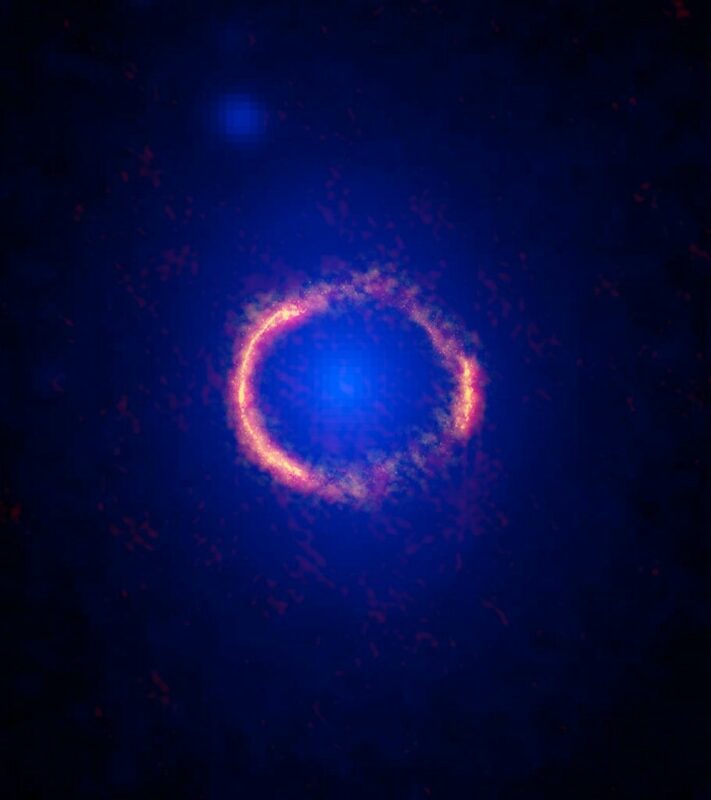 ALMA/Hubble composite image of the gravitationally lensed galaxy SDP.81. 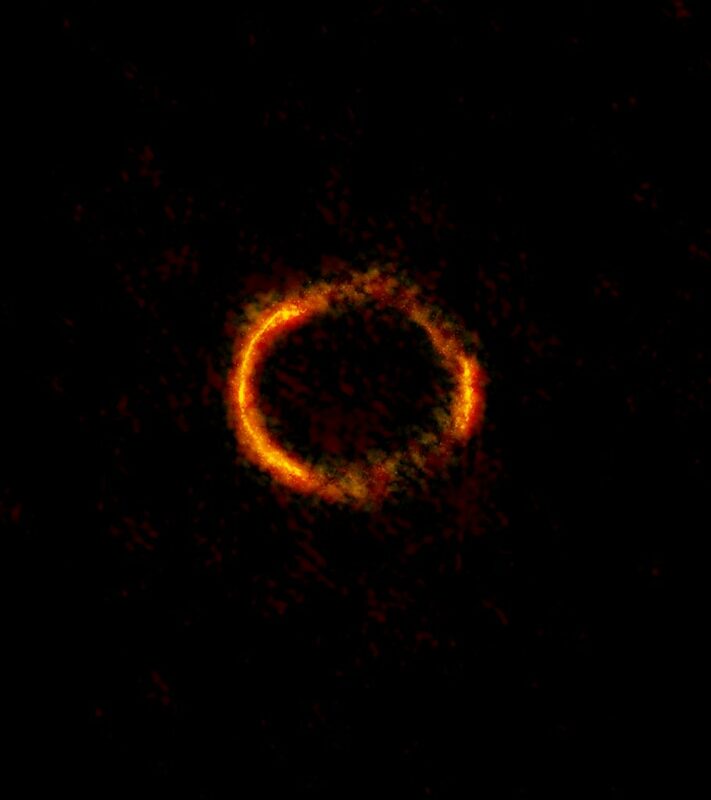 The bright orange central region of the ring (ALMA's highest resolution observation ever) reveals the glowing dust in this distant galaxy. The surrounding lower-resolution portions of the ring trace the millimeter wavelength light emitted by carbon monoxide. The diffuse blue element at the center of the ring is from the intervening lensing galaxy, as seen with the Hubble Space Telescope. 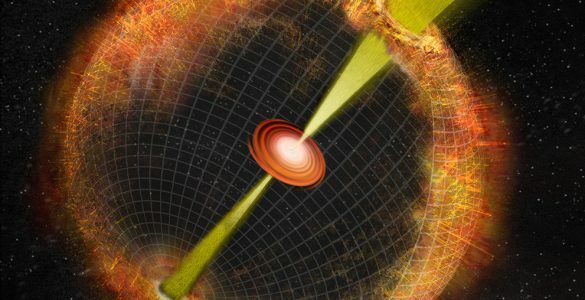 Animation demonstrating how the gravity from a massive foreground galaxy can bend the light of a more distant galaxy. 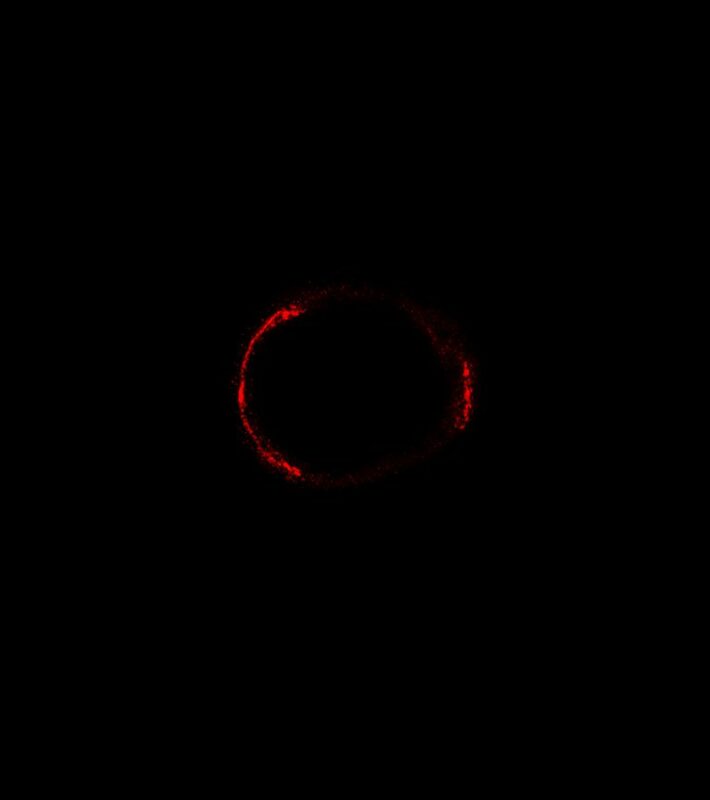 If the two galaxies line up just right, the result is a highly distorted image of the distant galaxy known as an Einstein ring. 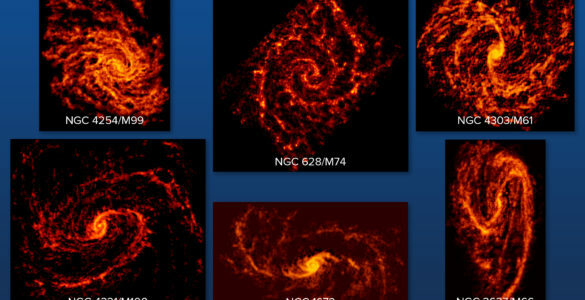 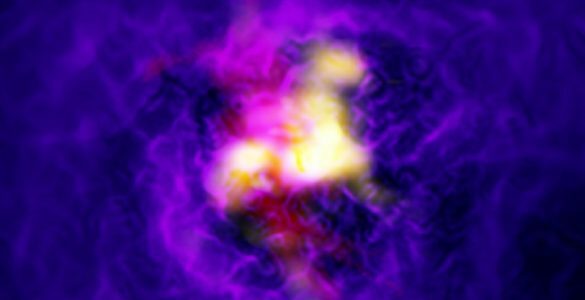 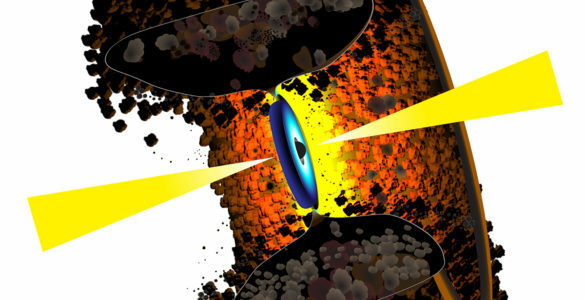 The radio image portion of the video is of galaxy SDP.81, which was imaged by ALMA as part of the telescope's Long Baseline Campaign.